Throughout our 8 years relationship, Sebastien had NEVER heard Stefan screaming out loud so much (it was actually hard not to laugh!) The El Vuelo del Cóndor swing in Baños was one of our 6 awesome things to do in Ecuador, which we think you'll also love. Casa del Arbol (which literally means tree house) is the most famous place people come to get the money shot of them on a swing with the backdrop of the Andes. It is in fact not as scary as it sounds: you're safely tucked in and you never go beyond the cliff edge. Out into the Andes he goes, back and forwards on the Casa del Árbol swing in Baños. If you want the real adrenaline kick (like in the above video with Stefan screaming! ), we suggest you head to the nearby El Vuelo del Cóndor (which literally means the flight of the condor). Here you're strapped into a much longer swing, so you swing further out into the mountain valley and back. The volcano part? Remember Baños is a city next to the active Tungurahua Volcano, which last erupted in February 2014. Factoring this in as you swing out certainly takes the adrenaline rush to a whole new level! …just a fraction of why the Galapagos Islands will completely blow your mind! This is the place that captivated Charles Darwin when he first set foot here in 1835 and will certainly do the same to you. The Galapagos are an archipelago of volcanic islands in the Pacific Ocean, around 1,000km (600 miles) from Ecuador’s coast. This is one of the few places in the world where you can get very close to wildlife. During our Galapagos luxury cruise, we saw giant tortoises in the wild, iguanas basking in the sun, blue footed booby birds wooing each other with their iconic dance and so much more. In the sea, reef sharks swim around you, turtles and rays elegantly glide by and curious sea lion pups come right up to you to play. What makes it so incredible, with so few predators, they have no fear of humans. They will simply ignore you as they go about their daily business. If you enjoy train travel as much as we do, then you'll love being on board the Tren Crucero, Ecuador's luxury 4 days train ride. 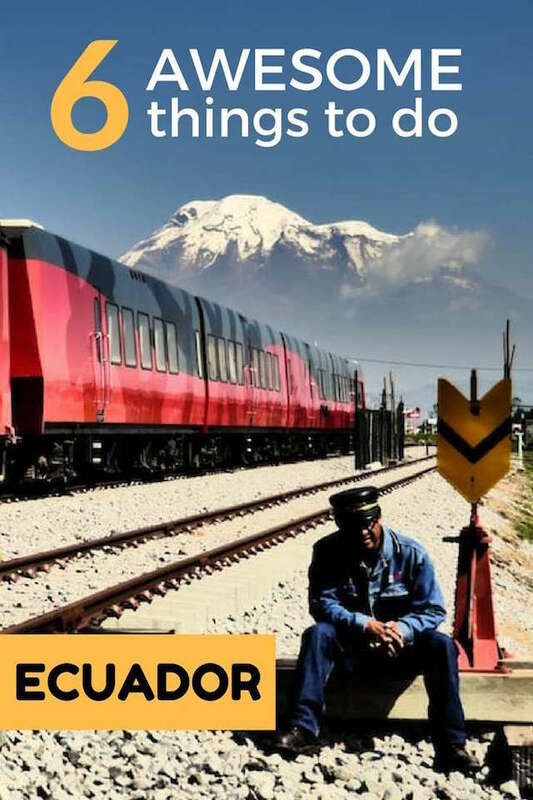 The train starts in Otavalo and makes its way to the coast, an adventure which will give you a real flavour of Andean mountain life and some pretty sweet shots to fill your Instagram gallery. This is an impressive journey, reaching altitudes of 3,609m (11,840ft), powering through cloud forests, passing 20 different volcanoes as well as numerous villages where locals stop to wave. Along the way, we stopped over at some of these villages, such as Cayambe to see its impressive rose plantation and Guamote to go shopping in the huge indigenous market, which completely engulfs its entire community. We also visited a pretty spectacular hacienda in Naranjito called La Danesa, which is also a large cacao plantation. The Tren Crucero is pure luxury. It has its own bar, grand seating area, lounges with sofas and no fewer than two viewing lounges: indoor and outdoor. The staff are super friendly and all guides speak fluent Spanish and English. 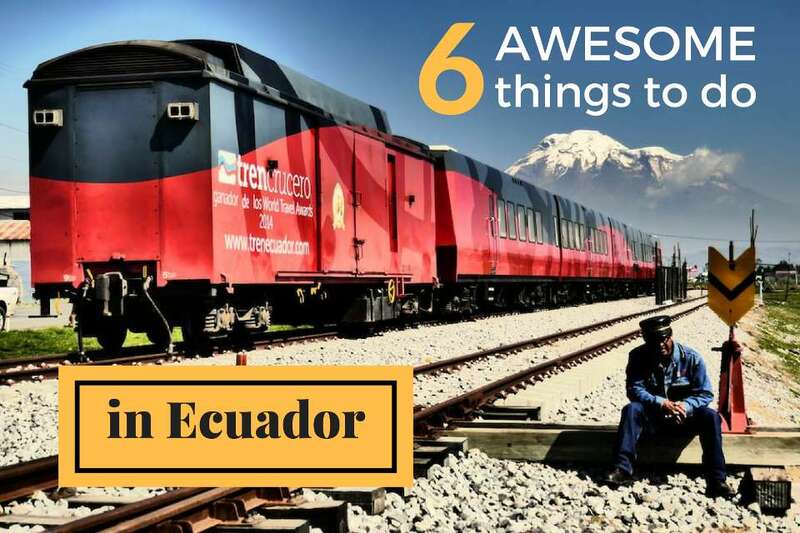 This is the way to experience the Andes in style and the reason why it ranks as one of our favourite 6 awesome things to do in Ecuador. The Quilotoa Lake is a volcanic crater bed of emerald green water, some 3,500 metres (11,483ft) above sea level. For us, it ranks as one of the most awesome things you'll see in Ecuador, the kind of image you'll want as your screensaver. 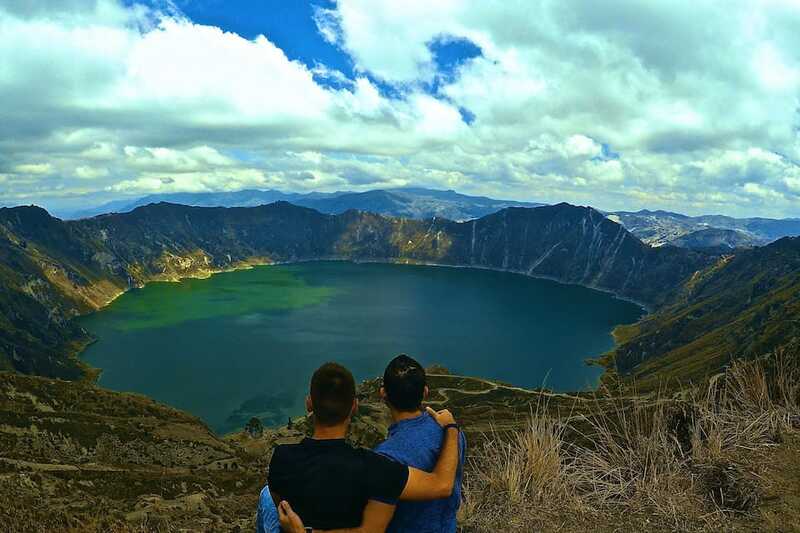 You can reach Quilotoa volcano by bus from either Latacunga or Zumbahua as a day trip, or as part of the 3-4 days Quilotoa Loop trek, stopping over at various mountain villages along the way. The bus to Quilotoa drops you off at the nearby village, which is also the gateway to the summit. To reach the actual lake itself, its a 1 hour trek down from the summit. Once there, you can rent a kayak and traverse the entire length of the lake. 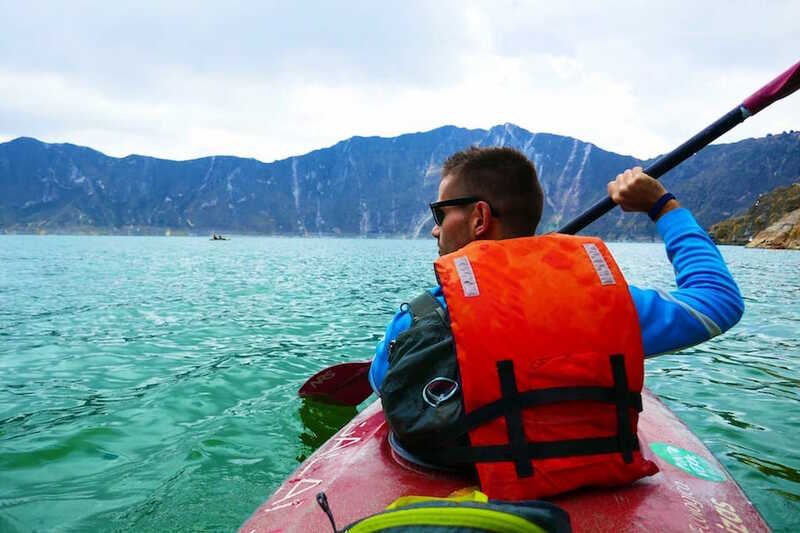 This will then give you full bragging rights to say you went kayaking in a volcanic lake! Whether on an Amazon river cruise or staying in a lodge, you cannot visit Ecuador and miss out on the huge jungle biodiversity. The Amazon is home to 427 mammals, 1,300 species of birds, 378 reptiles, more than 400 amphibians and around 3,000 freshwater fish, including Sebastien's best friends: the piranhas! 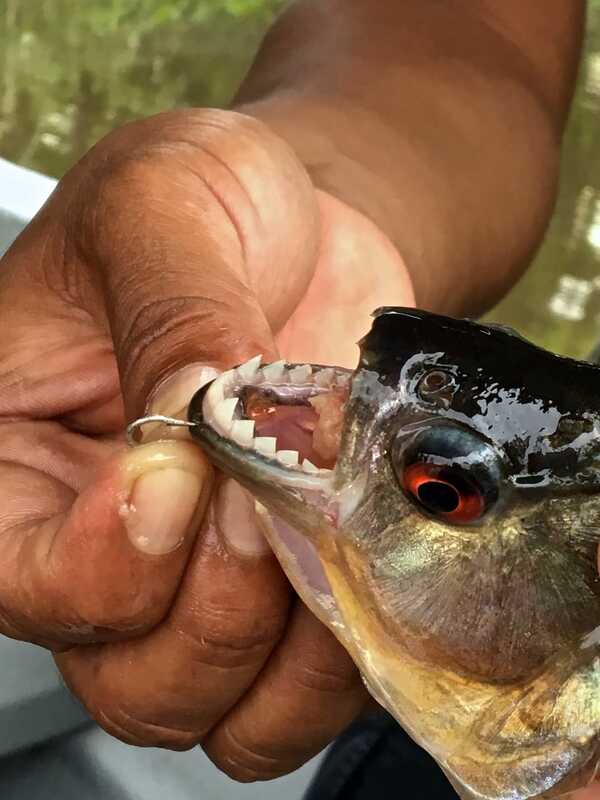 If like Sebastien you suffer from Piranha-phobia, jumping into the Napo River in Ecuador's Amazon may not be quite so high up on your bucket list. However, contrary to popular belief, swimming in these waters is very safe. Piranhas are not aggressive or territorial, they are scavengers. They will not go anywhere near you. Despite this, Sebastien lasted a whole 7 seconds before he jumped straight back into our boat! 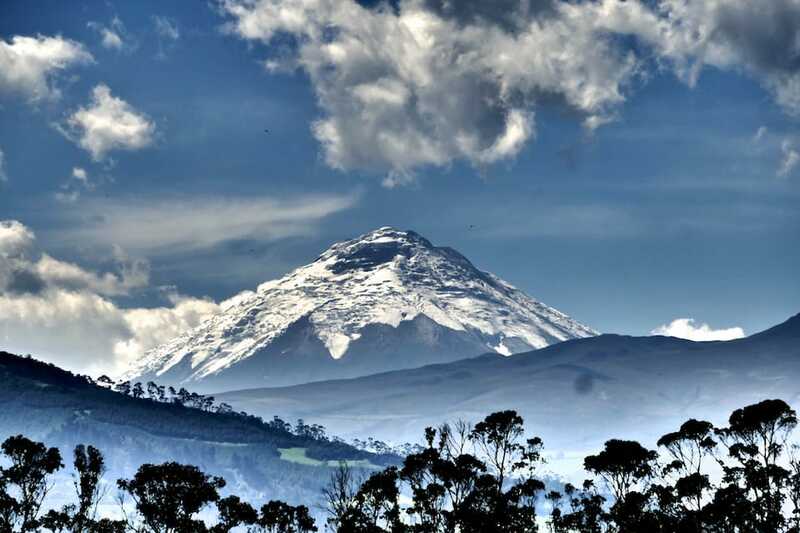 Cotopaxi volcano stands proud at 5,897 metres (19,347 ft), making it one of the highest volcanoes in the world. It has erupted over 50 times since 1738, with the last one lasting from August 2015 to January 2016. On a clear day, you will see it standing proud from Quito, or as you pass it on the Tren Crucero. You can visit Cotopaxi as part of a day trip from Quito with many tour companies offering biking tours down this burning mountain. Not a bad way to take in some pretty impressive views across the Ecuadorian Andes, from the side of an active volcano! Transportation: Public transportation is really cheap in Ecuador, but why use buses when you can get a taxi for a fraction of what it would cost at home. Uber is not (yet) used in Ecuador, however excellent alternatives include Cabify and Easytaxi. An average ride in Quito from the Old Town to the Mariscal will cost around $3. Tour operator: We travelled most of Ecuador independently, as well as using the services of the excellent gay owned tour company Ishpingo tours, in particular for our gay cruise to the Galapagos and guided tours in Quito. Ishpingo guides are all locals who are passionate about what they do. We've teamed up with Ishpingo to offer our readers an exclusive 5% discount for any bookings when quoting NOMADIC5 in your enquiry to them or filling out the form below. Travel insurance: Whether you go diving, hiking or just lay on the beach all day long, you need travel insurance. We use World Nomads because they offer considerable coverage especially for adventurous travellers. They also make it easy to make a claim as it’s all done online. Flights: Domestic flights within Ecuador are inexpensive. However, international flights to Ecuador can be pricey. We recommend www.skyscanner.com to research your flights. Their website is very easy to use and they always offer the best prices. You can even search for the cheapest flights for any given month. Hotels: Ecuador has a huge diversity of accommodation options. When we plan a holiday, we use Tripadvisor to research the best places to stay and activities to do. We also use Booking.com to find the best deals and to book accommodation online. It’s awesome to learn about what to do in Ecuador. Swinging out over a volcano sounds like just the thing I’d love to try. My wife wants to visit Ecuador, so we’re looking up things to do. This list is great, so thanks for the ideas. Those are some really nice ideas. Definitely adding them to my bucket list, except the swimming with piranhas :D.